The United Industrial Workers (UIW) union represents men and women who are employed in a wide variety of occupations. The UIW is a proud affiliate of the Seafarers International Union. 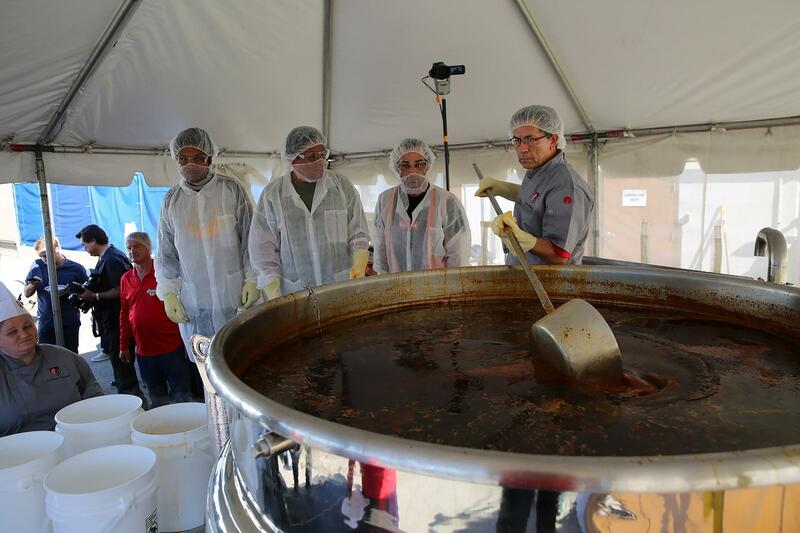 A UIW-contracted company which seasonally employs 70-100 UIW members recently earned its way onto the world stage by producing the most massive pot of a traditional Mexican soup in history. 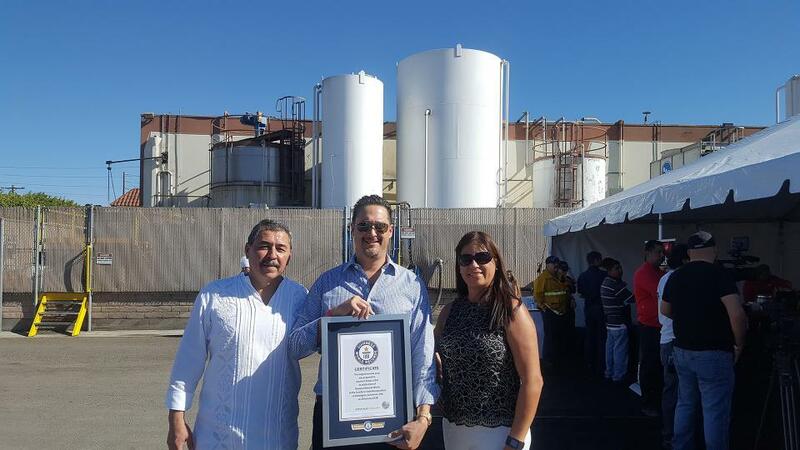 Wilmington, California-headquartered Juanita’s Foods on January 28, 2018 claimed a Guinness World Records title for cooking the world’s largest container of Menudo soup. Whipped up to celebrate National Menudo Month, the company’s award-winning fare reportedly weighed in at 2,439 pounds. Ingredients included 980 pounds of tripe in beef stock, 600 pounds of Juanita’s Original Mexican Style Hominy and 171 pounds of spices including a mix of Guajillo, Ancho, Arbol and Chipotle peppers. The dish was cooked to perfection in a 300-gallon kettle by chefs from Juanita’s Foods. They were assisted by culinary students and instructors from The Art Institute of Washington, a branch of the Art Institute of Atlanta. The Menudo cook-off was held in the front lot at Juanita’s corporate headquarters in Wilmington. Open to the public, the event featured free food including Menudo, pozole, nachos, Chile Verde, hominy snacks, tacos and churros. Assorted games and prizes also were available. Latino celebrities, including Mexican actress Angelica María and Mexican regional music singer Jonatan Sanchez, joined hundreds who took part in the history-making celebration. The event also marked the conclusion of Juanita’s Vive la Tradición Menudo Contest. Adalia Quiroga, from San Bernardino, was named California Queen of Homemade Menudo. She took home a new Kia Soul as part of her winnings. Juanita’s is a third-generation family-owned and operated business. It has been a union shop for more than 30 years. The company seasonally employs 70-100 UIW members who are involved in all production phases of the business’ items. UIW Reps Laura Lopez and Guadalupe Murillo lauded Juanita’s for hosting the event and inviting UIW members to participate. They said outings like this bring a very positive vibe to the community. Founded in 1946 by George de la Torre Sr. and his nephew, the company carries on a strong family tradition and business legacy by producing authentic home-style Mexican foods. Juanita’s products include flavorful soups, sauces and stews made with the best quality ingredients and delivered ready to eat.